One of five Foley men in the family to take up Martial Arts as a lifestyle and career choice. Alex grew up in Spaniard’s Bay, Newfoundland, with his four brothers. Quickly learning that he had a passion for the Martial Arts, he started training with his father Mike Sr. and brother Mike Jr, doing Kenpo Karate in the local school gym. Alex excelled at the “sport” side of Karate winning numerous tournaments for both sparring and Kata, including his first of many, 1st place medals in the Junior Black Belt division, competing as a twelve year old green belt in the annual “Battle on the Rock” competition, which was hosted by Foley’s Martial Arts. This was a prestigious competition that would draw over 400 competitors and spectators from Martial Arts Schools all over. Alex traveled to Florida in 2001 with his family, and Team Canada for the Disney Wide World Of Sports Martial Arts competition where he competed at the Junior Black Belt level. He earned a third place medal in Point Fighting and another third place finish in Continuous Kickboxing. Alex embraced the sport of Jiu Jitsu in 2007 with his brothers under Master Pedro Sauer, an 8th Degree Black belt under Rickson and Helio Gracie. He quickly found this art to be something he loved just as much as Karate, and found himself training with the same passion he had when he was a little boy, after just putting on his first Karate GI. In 2009, Alex obtained his blue belt in the Pedro Sauer Association from Professor Luis Heredia (a 5th Degree Black Belt under Rickson Gracie). Since then, in 2014, he has also obtained his purple belt (also under Luis Heredia). Alex and his Brother Michael made the switch to Victory Jiu Jitsu Academy in 2015 under the tutelage of Professor Shane Rice (3rd degree Black Belt under Rickson Gracie). Alex has had many job opportunities over the years. From working in a pet store to serving in the Military, he has taken something from each of his jobs that he can apply to the world of Martial Arts. Alex has full intentions to make a career out of his passion for teaching children and adults; his true calling lies here without a doubt. He hopes to instil confidence in his students, and to teach them to become better and more active members of society. 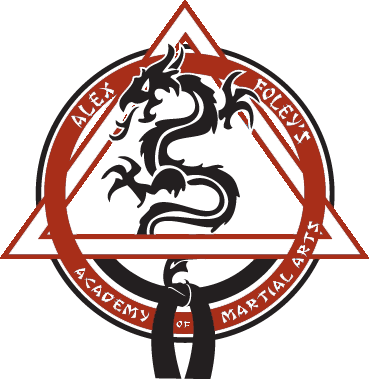 Alex also achieved the rank of Fourth Degree Black belt under Mike Foley Sr, June 24th 2016. Alex was appointed the director of the WKC (World Karate and Kickboxing Commission) in March 2017, for all of Atlantic Canada. Since then he has taken a team to Nationals in Ottawa where all five athletes made Team Canada and Alex took a third place finish in point fighting. Alex Received his brown belt in Gracie Jiu Jitsu under Professor Shane Rice June 25th 2017. Alex plans to fulfill his life in the Martial Arts world by running a successful Academy, and becoming a Black Belt in Gracie Jiu-Jitsu. He sincerely hopes that by accomplishing these goals he may be able to help some of his students and friends to find happiness and fulfillment their lives, as he has found through the Martial Arts lifestyle. Thomas is one of two of our first Black belts. He is also one of our main instructors at the academy. He trains in every discipline and is also a blue belt in Gracie Jiu Jitsu. To say he is dedicated would be an understatement (and also the most punctual student we’ve ever had, without a doubt). Thomas has incredible ability and anyone he gets to teach will be positively influenced. Thomas won first place at the WKC nationals in point fighting in his division and second place in continuous fighting in May 2017 and will represent team Canada at the world championships in Orlando in November. Zack has been training at the Academy for the last 6 years, and is one of the first two black belts promoted. Averaging approximately 12 classes per week between his own personal classes and his leadership classes, Zack is definitely a very dedicated student. Zack trains in Kenpo Karate, Gracie Jiu Jitsu and Weapons. He is currently the weapons instructor, and helps teach the Little Ninja’s program and loves helping the children attain their Martial Arts goals. His enthusiasm and technical ability are an asset to all students he instructs. He won first place in continuous fighting in his division and third in point fighting at the WKC nationals and will represent team Canada at the world championships in orlando in November 2017. Emily is another junior leader and ole model at the academy. Emily holds the rank of blue belt and is working towards her red belt. She is a very dedicated student, so much that she also started training in Gracie Jiu Jitsu this year, trying to further her martial arts repertoire. Being another strong girl with a passion for sparring, Emily will be a great influence on any child she helps teach. Faith is a returning Junior Leader from last year. Faith is a blue belt in kenpo karate has a very mild mannered personality, but don’t let that fool you! Faith can turn into a warrior when it comes to competition, very easily, and has many medals to prove it. She has a lot to offer any and all students, she will help influence is every respect to martial arts. Faith also trains in Gracie Jiu Jitsu and is a four stripe yellow belt working hard towards her orange. She brings the same passion and enthusiasm to that martial art. 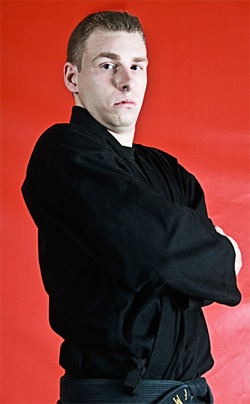 Ryan is a Blue belt in karate, and also trains in Gracie Jiu Jitsu, weapons, and continuous fighting. He is one of our most talented and dedicated fighters, and can be seen helping teach class at any given time at the dojo. Ryan is a fan favourite among the younger kids when he is helping with his leadership duties. He plans on being a full time instructor when he gets older. Justin has been training in martial arts for 9 years, starting at the young age of 5. He has been an extremely dedicated student since he started training with us, doing every available class and competition. Also a yellow belt in Jiu Jitsu, Justin helps junior lead in karate, and the kids bullyproof class. Alex is a Green belt in Karate and a white belt in Gracie Jiu Jitsu. He is very passionate about his classes and helps with the junior karate class as often as he can. Alex loves competition and any opportunities for extra training. A great role model for younger enthusiasts. Gabrielle is a blue belt in karate and a yellow belt in Gracie Jiu Jitsu. She is a great asset to our team and is always smiling. Gabby loves competition also, and excels in her divisions. Faith is one of our newest junior leaders. She has been training almost three years and is a purple belt. Faith also started training Gracie Jiu Jitsu this year, and is passionate about all of her martial arts classes. She loves helping the little kids classes and is a great role model.